Global Teq Training Academy: Are you PMP Certified? “What next”? You have earned your PMP certification…. Congratulations! It feels great to have that next to your name. It is definitely a milestone and an accomplishment worth celebrating. However, after a while, the question that often pops up is - what next? No doubt, high achievers especially experience this “What next?” itch. For PMP’s it will be great to leverage your Certification - apply the principles, show you know your stuff and perhaps to advance or move across to another interesting and lucrative career position. Perhaps there is more you can do to keep up and accelerate your career momentum. As you assess your goals, perhaps another certification will help you to advance your career as well as to keep you excited. Below are a few ideas related to career goals and certifications and you can ‘kill two birds with one stone’ by earning a new certification and PDUs at the same time! Option A - Considering Prince2 certification after PMP – “Why not”? For all one knows, you may find yourself operating or moving towards a more international venue. In Europe and some other parts of the world, PRINCE2 certification is highly respected and popular. Having the distinct advantage of project management background already behind you, you may find that the first step of earning the PRINCE2 Foundation certification is fairly easy in comparison with PMP certification. This will provide you with an addition credential relevant in your specific work environment plus added perspective on the job. Lot of PMPs work in the Information Technology (IT) field. Some may already have technical certifications with some vendors as Oracle, Cisco & IBM to name a few. Information Technology Infrastructure Library (ITIL) certification may interest you, since you have already made the move to management. It can provide you with added credentials and specific deep expertise in the IT space that is valued by many organizations worldwide. This may enable you to get in charge of projects that might otherwise have been out of reach. PMP’s may find that the pure project management profession suits them just fine and they would like to simply take a path to bigger and better things. The PMI has laid out a path for that, which is (PgMP), the Program Management Professional certification. This is a logical extension to the PMP using a similar approach to the PMBOK framework and building directly on the PMP skills base. In today’s economic environment, one of the favourite types of projects to be funded is that of the cost cutting or efficiency producing variety. In these cases, many organizations want to turn to proven methodologies and processes, which includes Six Sigma. (SSGB) Six Sigma Green Belts and (SSBB) Six Sigma Black Belts are in high demand for any of these projects and project management skills are also at a premium. Like a double-edged sword, this combination of the two can be powerful. One of the very important areas in a project is “requirements management”. As a matter of fact, the scope of requirements management can be broadened to that of ‘Business Analysis’. Essentially, many could find a great appeal to the analytical skills required in Business analysis. The combination of a Business Analysis certification with the PMP can again be powerful. Especially in environments where the analysis portion of typical projects is particularly crucial. This is often the case, for instance in the area of application development projects. 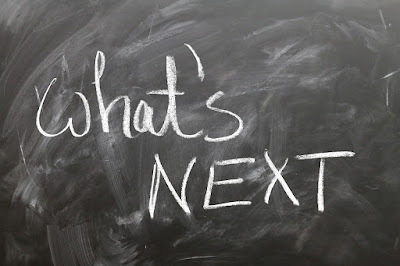 So, when you ask what’s next? Consider additional certifications and the chances are that you might find it is easier than you think to add another credential on top of PMP or anything else you might have next to your name. It is especially enticing when you can earn PDU’s for the work at the same time. Just remember that – “it’s not where you are or where you have been” that’s important, “what’s important is where you are going”. Keep that forward moving feeling going and set some new goals today by tackling another career-enhancing certification for yourselves. Cheers….